Well, what a bad man he is! He told the decent Mr. 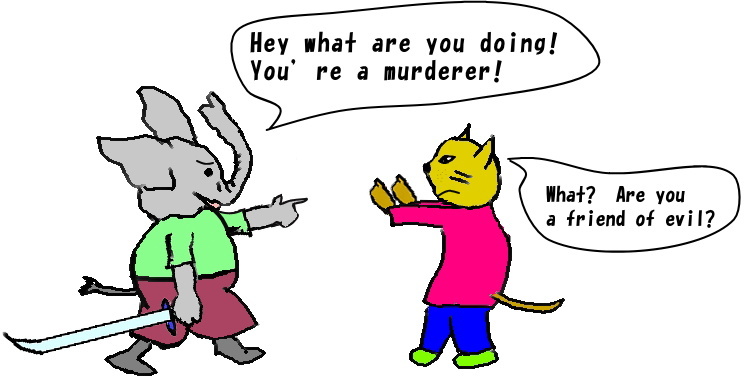 Elephant, who hated evil, that Mr. Elephant was a friend of evil!